These past many months G-d has been hammering home this simple yet profound statement. It is not about your needs, your wants, and your desires Azriel. It is all about my needs, my wants and my desires. I am the L-rd your G-d who brought you out of slavery in Egypt. I am your G-d. It is not about you. It is all about me. Love me Azriel your G-d with all your, heart, your mind, your body and your soul and I will be faithful. If don’t do this and forsake me I will forsake you. I gave you a piece of my soul at Mount Sinai. I gave you the instruction manual Bereshit, Shemot, Vayikra, Bamidbar, and Devarim. I gave it to you through my humble servant and stenographer Moshe. This is my very essence. My soul, my likes and my dislikes were all shared with you. Even when you disobeyed me Azriel and forsook me I heard your cries and I didn’t abandoned you. I gave you redemption. You are my chosen people. I went to all the nations and peoples of the earth and only Avram didn’t question me. He said I will trust you. 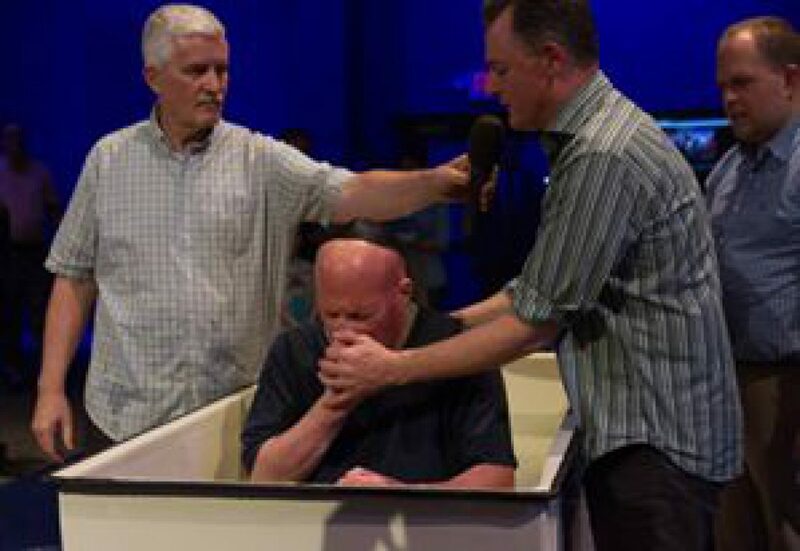 I heard your desire Azriel to go to Pastor Steve Gray at World Revival Church in Kansas City in 2008 while you and your wife were living in Los Angeles. I shut every door for you Azriel in 2014 so you would go to Kansas City and become a man after my own heart. Now it is time to become the man of G-d Azriel that I have planned for you. Remember I created the entire universe with ten utterances. The one true necessary existence. When you looked into my son’s eyes Yeshua you saw my face and you didn’t die. You lived. I took the form of a man to save my people. Yeshua is the Jewish Messiah. Death has been defeated. Yeshua healed the sick. HE raised the dead. Yeshua set free demonized Jews and you Azriel were put in your right mind. Yeshua died for your sins. 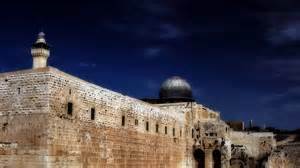 It is time to bring my people back to the House of David. My house the house of G-d. The good news is that no matter what goes on in the world G-d HaShem is in control. Yeshua defeated death for us. Yeshua the Jewish Messiah gave us life. We will all walk free men and women with one simple declaration Yeshua is the L-rd of my life. He died for sins of the world. He came to save HIS people us Jews first and the rest of the world. I will never back down. I will never change my mind. One doesn’t have to stop being Jewish to be a believer and a follower of Yeshua. Sha’ul (Paul) didn’t stop being Jewish. Peter didn’t. James didn’t. John didn’t. All of the disciples of Yeshua were Jewish. 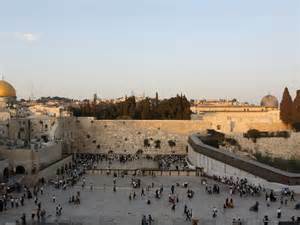 Both Jews and Jewish believers in Yeshua worshiped together in the Temple. Yeshua is a son of David. G-d is a Jewish author. We Jews were used to birth the saviour of the world Yeshua. Yeshua is my King. The L-rd of my life. My saviour. My rock and my foundation. And we hereby declare the abundance and blessings of the L-rd upon all who bow down worship my King Yeshua the saviour of the world. A new day is dawning. The Kingdom of Heaven is here. We will have freedom from all Diseases and sickness. G-d is on move. For those that doubt me, G-d gave us our land back. 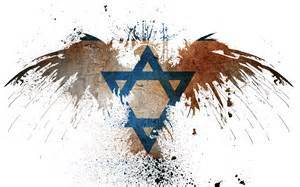 He didn’t let us be wiped off the face of the earth by those who wanted all of us Jews dead. G-d is our great protector and provider. HaShem wants to shower us with blessings and abundance when we mix our belief with faith with action and the doing of the word of G-d. I can do nothing on my own power. Through G-d, Yeshua and my King all things are possible. My Faith will move the mountains. I can’t rely on my eyes and what I see. I am not moved by what I see, or what I feel, I am moved by what I believe. All glory goes to my father. HaShem is the creator of the entire universe. G-d breathes in us the very breath of life. HaShem creates the world anew every day. I give thanks when I rise up and when I sleep to G-d for creating the entire world anew every single day. I ask for the forgiveness of my sins and the sins of my father’s. The one true living G-d. The G-d of my father’s Avraham, Yitz’chak, and Ya’akov. Thank you Pastor Steve for being my teacher. The only way we can know G-d’s will is to read and study HIS word. We cry out to the G-d of my father’s Avraham, Yitz’chak, and Ya’akov let your will be done. G-d’s will is very simple. Love your G-d will all your heart, your mind, your body and your soul. Serve me and do my mitzvahs. G-d said to us I am your G-d.
Don’t neglect me (G-d). Don’t neglect your wife and family. Don’t neglect my (G-d’s) house. Follow and obey your teacher and most important off get rid of all forgiveness and don’t neglect sin and cover it up. This is hard. G-d shines the spotlight on my heart so through the healing power of Yeshua I am made clean in the eyes of G-d.
G-d is told us Mount Sinai I am your G-d. I brought you out of Egypt. I delivered you from slavery in Egypt. I showed you my glory on Mount Sinai. My servant Moshe was face to face with me. I gave Moshe the instruction manual- Bereshit, Shemot, Vayikra, Bamidbar and Devarim. I shared with you a piece of my soul. I shared with you my heart, my mind and my soul. I gave you Yeshua my son. I took the form of a man named Yeshua. Yeshua is the Jewish Messiah. You saw my face when you looked at the face of Yeshua and you didn’t die. You were healed. I wanted to change your heart. Some of you did. I AM who I AM. I will never abandoned you. You are my people. I am your G-d. Return to the house of David. When I change the world will change. Yes, my judgement will be swift and just. 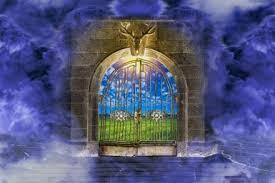 The Kingdom of Heaven is fast approaching for the final grand entrance. My people need to get their collective houses in order. This is for both Jew and Gentile. We are meant to be the power of all worshiping together at Mount Tziyon. This change in my thinking is a direct result of my teacher Pastor Steve Gray. Moshe was our first teacher and prophet to the prophets. 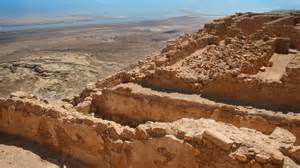 Moshe paved the way for coming of Yeshua the Jewish Messiah forty years before the destruction of the second Temple on the 9th of Av. The greatest teacher of all is Yeshua. Yeshua is the Jewish Messiah. Moshe was the prophet to the prophets. He was the only prophet who met face to face with the G-d of my father’s Avraham, Yitz’chak and Ya’akov. Moshe was G-d’s personal stenographer. G-d shared HIS heart and soul with Moshe. Moshe wrote G-d’s words down in the Torah- Bereshit, Shemot, Vayikra, and Bamidbar and Devarim. 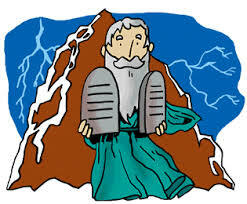 Devarim was written in Moshe’s own words taken directly from G-d.
Moshe recorded our entire history from Egypt all the way to Mount Sinai and our forty years in the desert to writing down Moshe’s own death. Think about this for a moment, you are recording you own death while you are alive. Mount Sinai is the place where G-d gave each one of us Jews a piece of HIS soul. G-d through Moshes gave us our instruction manual. G-d let us know what HE likes. What He dislikes. G-d shared His soul with the entire Jewish nation. 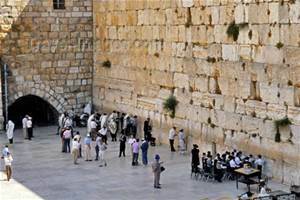 This great event in history paved the way for the Jewish Messiah to walk the earth before the destruction of the Temple for the second time on the 9th of Av 70 AD. G-d for the second time came to earth. 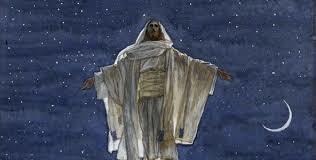 First on Mount Sinai then the second time G-d took the form of a man named Yeshua. Heaven came down to earth two times. When Yeshua walked the earth the Kingdom of Heaven was established on earth. G-d is crying out for us to return back to HIM. The G-d of father’s Avraham, Yitz’chak, and Ya’akov is giving us warning after warning that HIS judgement is rapidly approaching. The funny thing about G-d’s judgement and correction is that we want it against those that are attacking us. Yes G-d will do this yet the real truth is we want G-d to take care of those who are trying to destroy us so HaShem will leave us alone so we don’t have to change. Not so fast Bucko. Instead G-d sends us a messenger so we will change our heart, our mind, our body and our soul. This is not done out of anger. It is done out of jealousy. For us Jews are set aside for HIS Holy Purpose. G-d wants HIS people we Jews to get back to what we are supposed to do to love our G-d with our entire, heart, mind, body and soul. 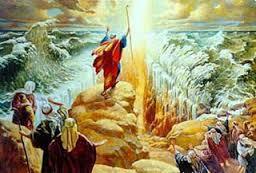 The second part of this is we are directed get rid of all the idols of our father’s Avraham, Yitz’chak, and Ya’akov. This idol worships starts with Avram’s father Terach. HaShem wants us to only worship HIM. For HE is our G-d. The G-d who brought us out of Egypt. Delivered us from the Land of Pharaoh so we could have the Land of milk and honey- The Promised Land. We must make a choice either follow G-d’s mitzvahs or follow the G-d’s of the world. This is not an either or proposition. We cannot chose both. We chose either G-d’s or not. This is not two choices but one simple choice- love your G-d and get rid of your idols. This is the lesson I learned from Pastor Steve at World Revival Church. We are in at war folks. This is a spiritual war. We must set aside all of our unbelief and speak G-d’s very words at our enemy. Pastor Kathy said these very words last night at our davening (corporate prayer) Wednesday night at World Revival Church. Pastor Kathy is filled with the Rauch HaKodesh. G-d is speaking through her. Allah is not G-d. He is a false G-d. The one true living G-d. 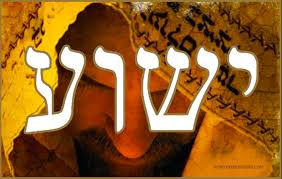 The G-d of my father’s Avraham, Yitz’chak and Ya’akov is our protector, avenger and will defeat our enemies. No one can stand against HaShem Eloheinu Hashem Echad. The G-d of my father’s Avraham, Yitz’chak and Ya’akov has defeated all false G-d’s. G-d is not on trial. G-d created the world with ten utterances. He is the true necessary existence. Without HaShem we revert back to our original state nothing. The one true living G-d breathes the breath of life into all HIS creation. With Davening we are creating a bond between us and our creator. We forget about ourselves and solely focus on the one true living G-d.
By declaring G-d’s word we bring to life the very power and presence of the one true living G-d. It is time to stand up and fight. Prayer is our only weapon. Prayer and trust will move the mountains, change the destiny of a nation and bring about total victory. The proof is written in the Torah. These are the first five books of the Torah Bereshit, Shemot, Vayikra, Bamidbar, and Devarim. 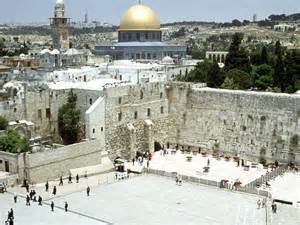 These is where G-d gave us HIS soul. The revelation of G-d’s truth. Our instruction manual on how to live and serve the one true living G-d.
G-d brought us out of Egypt. HE set us free. HaShem revealed who is to us. HaShem defeated our enemies. HE gave us redemption. HaShem gave us our land back. HE never abandoned us. He was there with us from the very beginning of time. Avram is the father of the Jewish people. He challenged his father Terach the idol maker. Avram destroyed Terach’s idols. Avram, before HaShem spoke to him and revealed HIS truth, came to the conclusion there is only one creator. It is time for G-d’s house to get in order. What I mean by G-d’s house Jews and Gentiles become one. This is what G-d wanted to happen from the beginning. One can’t fight when one of the limbs are missing. G-d gave us Jews a mission at Mount Sinai to be the light to nations of the world. We were supposed to show G-d’s true nature by our heart, our mind, our body and our souls and most important of all our actions. The gentiles mission is elevated the world to G-dliness. When both of our missions are completed then G-d will have HIS dwelling place. 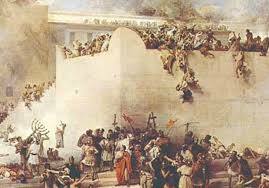 Many forget one of the key tenants of Judaism is the coming of the Jewish Messiah. Yeshua is the living, breathing, heart, soul and word of HaShem the real and true Jewish Messiah. Our sages and Rabbi’s know this to be true. One cannot deny the truth. Neither can the Christian community deny the truth that without us Jews Christianity could not exist. G-‘d’s plan all along is redemption. When G-d speaks to you through Pastor Kathy at World Revival Church it is like a thunder dome. The words surround you. They penetrate your heart, your mind, your body and your soul. This happened on Friday June 10th. We are the hindrance when we don’t receive the blessings and abundance of G-d. I have met the enemy and the enemy is me.” The reflection staring back at me in the mirror is my problem. It is me. No one else. It all rests on my shoulders. G-d looks at my heart to see if it is right. If my heart is out of whack then my life is out of line with the word of G-d.
What words are spoken from my lips is what is in my heart. The people I hang around will affect my blessings as well as what I listen to or watch on TV. My mother always told me I can tell what kind of person you are by the people you hang around. I know this to be true. From the age of ten or so I decided I didn’t want the word of G-d in my life. I wanted what the world had the hot chicks, to be a sports star, to be popular and to hang out with the hip, Slick and cool kids. So I thumbed my middle finger at my G-d, my parents and those who got in my way and headed straight into a life of living hell. It didn’t start out that way. The bright lights were great. Then it all slowly slipped away fast until I was a walking, talking dead man. G-d didn’t abandoned me. For I am a son of Avraham. A son of David and member of the tribe of Mannasseh. G-d didn’t do this to me. This was my choice and my choice alone. G-d gives us freedom of choice. We can chose to follow HIS word or not. HaShem’s way or not. G-d’s Torah. These are the instruction manual that G-d gave Moshe to write down in Bereshit-Genesis, Shemot- Exodus, Vayikra- Leviticus, B’midbar-Numbers and Devarim- Deuteronomy. Moshe was the stenographer. G-d was the author. G-d is a Jewish author. The Torah is the driver of the car. The last book of the Torah is a tad different. It is written in Moshe’s own words. Moshe recorded our history from Egypt all the way to Moshe’s own death. That must have been something to write down your own death like Moshe did. This is where our Mishnah Torah comes from. 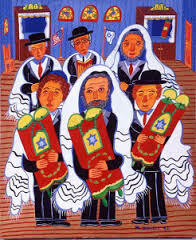 These are the 613 mitzvahs that G-d gave us. So what does this have to do with the price of tea in China? Everything. Pastor Kathy began reading from Genesis Bereshit 12:1. I opened up my Tanakh to Genesis 12:1. Guess what my book marker was on this chapter. Genesis 12:1-3 “Now HaShem said unto Abram: ‘Get thee out of thy country, and from thy kindred, and from thy father’s house, unto the land that I will show thee. This happens to coincide with G-d revealing HIS soul to us On Mount Sinai. This is a direct tie into when G-d gave each one of Jews a little piece of His soul. You see this is what makes a Jewish different soul from the non Jewish soul. We have a piece of G-d in us. We are instructed to be the light unto the nations of the world when G-d gave us His revelation to us. G-d shared with us what HE likes. What HE doesn’t like. 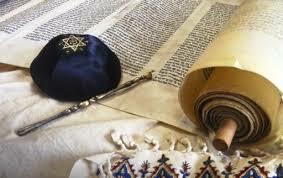 G-d revealed who HE is to us through HIS word the Torah- The first five books of the Tanakh. This sends shivers down my spine. During worship I had this images of bricks being built into the foundation for the Temple. Then the words we are a nation Priests keep pouring from my lips. I could not stop kissing the floor of World Revival Church. This was in response to the Holy Ground I was worship Yeshua and the G-d of my father’s Avraham, Yitz’chak and Ya’akov. And what does Pastor Kathy speak about the father of our nation the Jewish people Avram. Avram listened to G-d. When G-d said go Avram left. Avram’s father Terach was an idol merchant. At an early age Avram questioned his father’s faith. Avram wanted to know the truth about his father’s faith. This questioning for Terach’s led Avram to the conclusion that the entire was created by one single creator. The light bulb went off inside of Avram’s head and he began to share with other his belief in one single creator. Avram tried to convince his father Terach it was not a good to worship idols. Terach refused so Avram destroyed his father’s idols. This very act set the stage for HaShem to make Avram an offer. The one true living G-d knew Avram wouldn’t refuse and thus the rest is history. G-d a covenant (B’rit) with Avram and this gave birth to the nation of Jewish people. This entire process had to be the work of HaShem the Rauch HaKodesh that led to Avram deduct the one true living G-d created the entire world. This is why HaShem knew that Avram was a righteous man. And thus the nation of the Jewish people is born. This divine vision from G-d given to Avram at an early age set in motion the history my people the Jews all the way from Egypt to Mount Sinai and creation of Israel. Yet there is one key element that is missing. 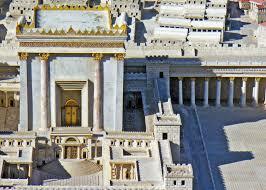 The basic fundamental tenant of Judaism is the coming of the Moshiach Yeshua. 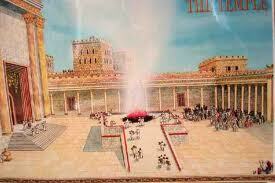 All the events that took place are in preparation of the coming of the Moshiach. This had to be the work of HaShem the Rauch HaKodesh that led to Avram deduct the one true living G-d created the entire world. Yet there is one key element that is missing. 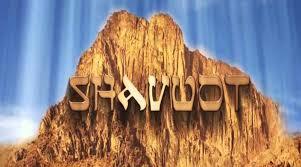 The basic fundamental tenant of Judaism is the coming of the Moshiach Yeshua. All of the events that took place are in preparation of the coming of the Moshiach. For this Jewish Believer Yeshua is the Jewish Messiah. Yeshua is the true living breathing word of the Torah. Yeshua is the soul and the face of G-d.
We Jews missed it. We didn’t get it right. Yeshua came to show us how to get right with the little bit of G-d’s soul that was given to each one of Jews so we be light unto the nations of the world. Yet G-d had a twofold plan. He wanted the non-Jewish world to lift up the world to G-dliness. The only way for this to happen was for us Jews share with the rest of the world The Jewish Messiah. This was done by Sha’ul (Paul). 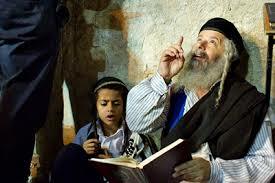 Both Jew and Gentile worshiping together at Mount Tziyon G-d then and only then will G-d have His dwelling place.